If there is one area that we can save a little money, it’s in the food department. One of the ways that I save a ton is by pre planning my meals ahead of time and then shop accordingly. A flexible meal plan works for me because I’m a bit of an eclectic personality…a little bit of this and a little bit of that. 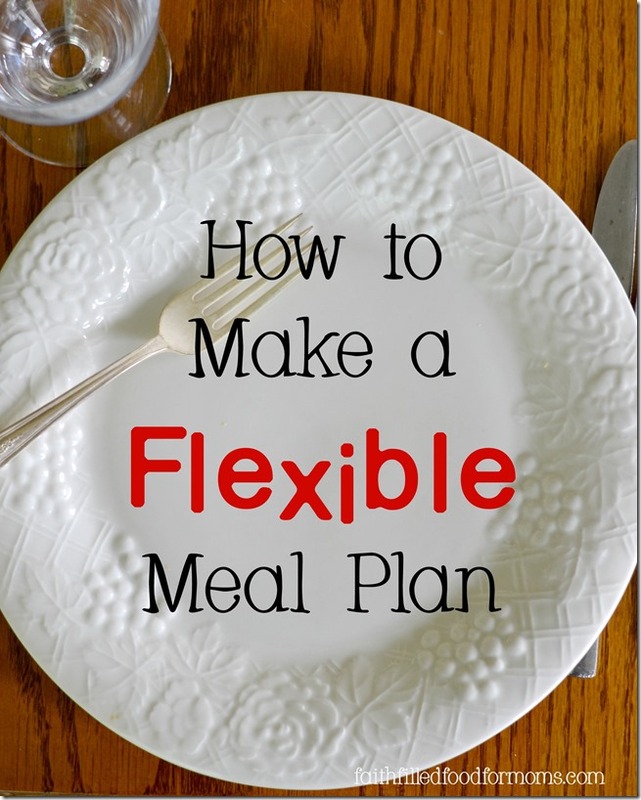 I NEED a flexible meal plan and I’m going to show YOU How to make a flexible meal plan too! A meal plan can seem very overwhelming before you start, but once you get the hang of it, cooking will become much more enjoyable and you will be able to enjoy your favorite quick and easy meals without having to run to the grocery store every night. Over the years I’ve created a very flexible meal plan and if you are anything like me, then you will ditch the traditional ideas of meal planning and jump on board with a more flexible way of thinking. 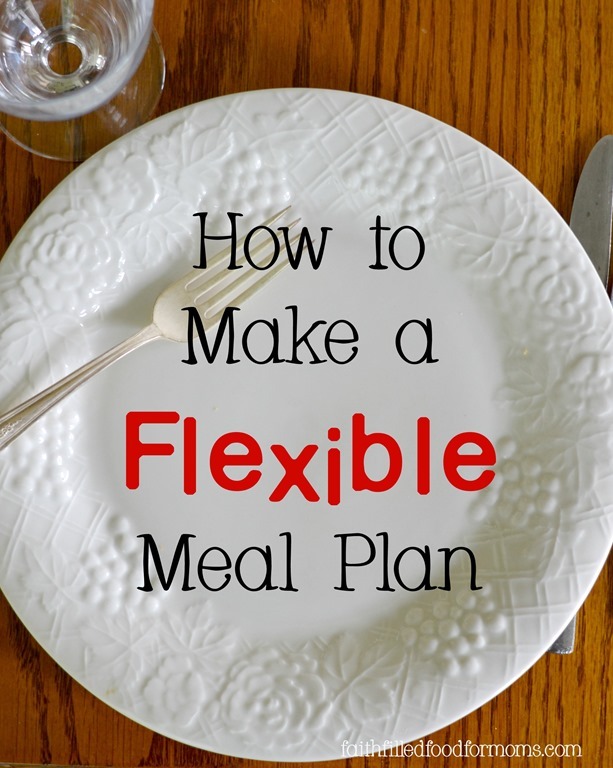 1 How to Make a Flexible Meal Plan That Works for YOU! 3 8 tips for how to make a flexible meal plan..
How to Make a Flexible Meal Plan That Works for YOU! NOPE it’s not! Having a meal plan frees you up so that you don’t have to think about what’s for breakfast, lunch and dinner everyday. It also saves big bucks! Once you have a master meal plan for the month in place and you have gone shopping for all of your meals, you then have the freedom to fix these meals on any day, at any time of your choice. The whole point of this system is that you have the food on hand. This frees you up for A LOT of flexibility. Say you wanted Spaghetti 3 nights out of the month. You don’t have to plan which nights or lunches you want these to be on, unless of course you want to. The plan is to have the ingredients on hand so that at anytime, then you can go to the cupboard or freezer and know that you have everything you need to make these meals…3 times! If you want. Are you getting what I mean? It is super helpful to have a plan on what night to cook what..but with this type of meal planning it leaves room for flexibility. 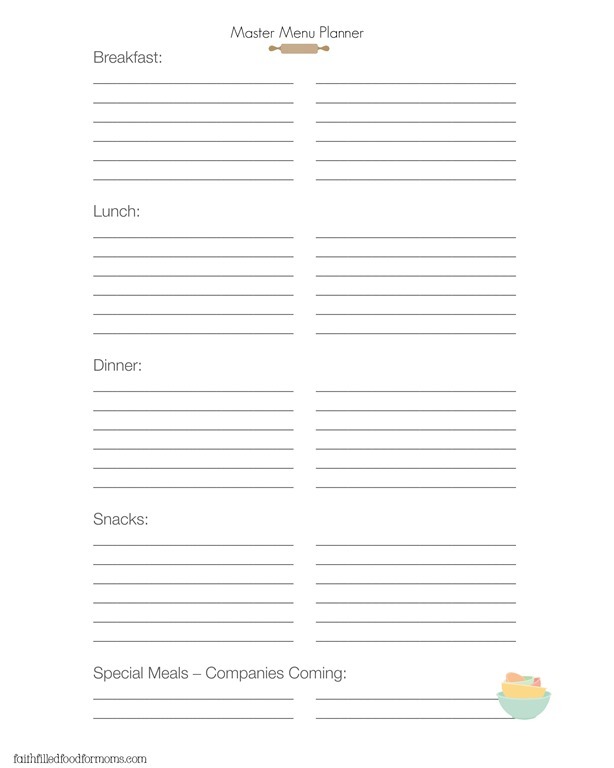 You can use the below printable to make your master list…right click, download and print! 8 tips for how to make a flexible meal plan..
Don’t get caught up in creating 30 separate breakfast, lunch and dinner meals. Make it easy on yourself to begin with. Make some of your dinners 2 to 3 times a month..say Pizza. If you spread them out over a month then it doesn’t seem as though you are having it every single night. Start with your family favorites. Only have a few new recipes the first time you do your meal planning. This way you will know how much you will be spending on average for you meals. Mark out a couple hours for your first Meal Planning session. It does take time at first to create your first Meal Plan and Grocery list..but after that..you just grab your grocery list, tweak it a little and go. If you write down a new recipe, be sure and mark where you got the recipe (like which cookbook, magazine, website) Better yet print it out. It’s pretty frustrating to make a meal plan, add the recipe, shop for the recipe and then find out that you can’t even FIND the recipe to make it one night…guess how I know that! HA! Yep I’ve done that more than once! If making a whole month’s meal plan is too overwhelming then start with one or two weeks to start. Recruit your family to help you make your meal plans. That way you are sure to have meals that your family enjoys. Once again there is no use planning out a meal plan, only to have your family not even eat it. Waste of time and waste of money. Don’t try to make the perfect meal plan the first time you try it. It will take a few times over a few months to tweak it and get it the way you want it. 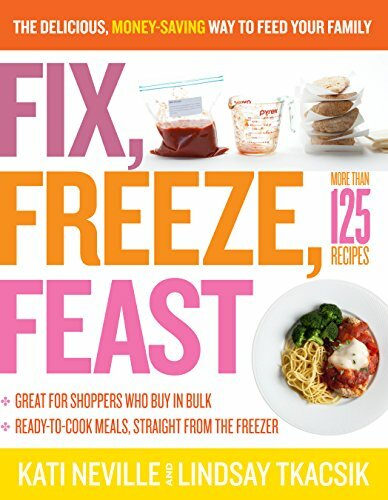 To stay on budget and plan meals that everyone will like. 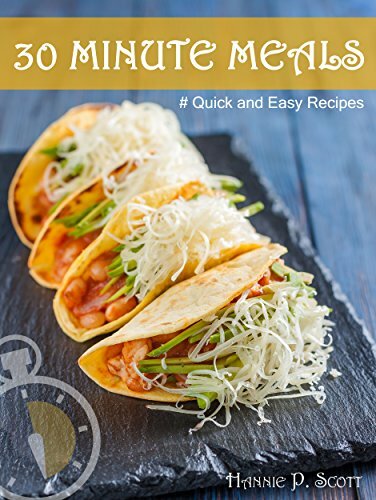 If you don’t know where to start with recipes…I have TONS, but these are also fun Cookbooks that will give you tons of ideas if you “run dry”! 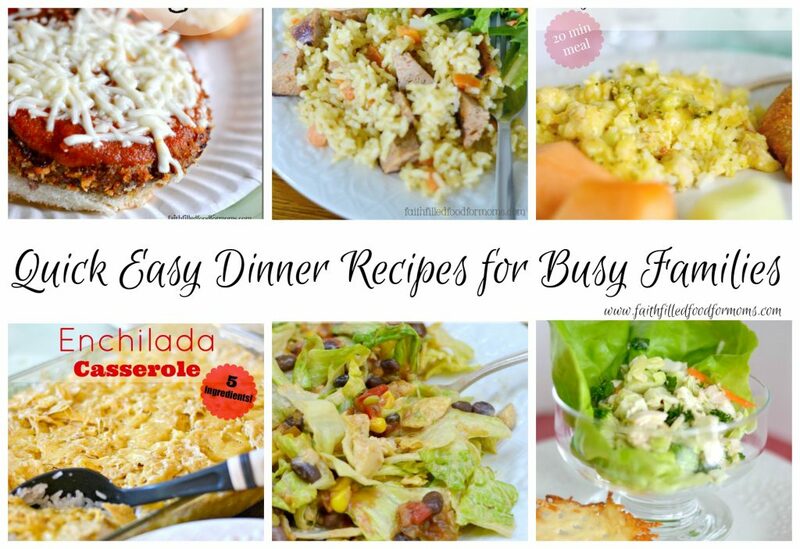 Here are some quick and easy dinner recipes your family may love! 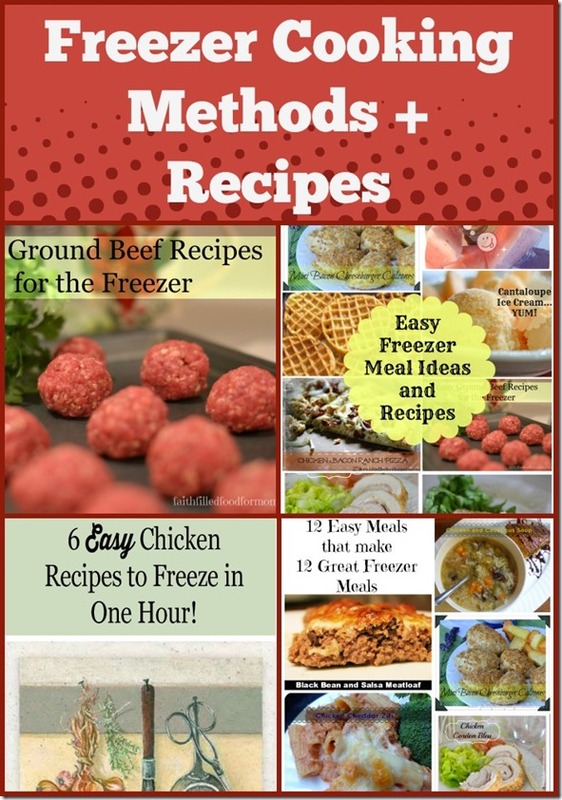 You may also consider how much easier that Freezer Cooking can make your life. There is a method for you! 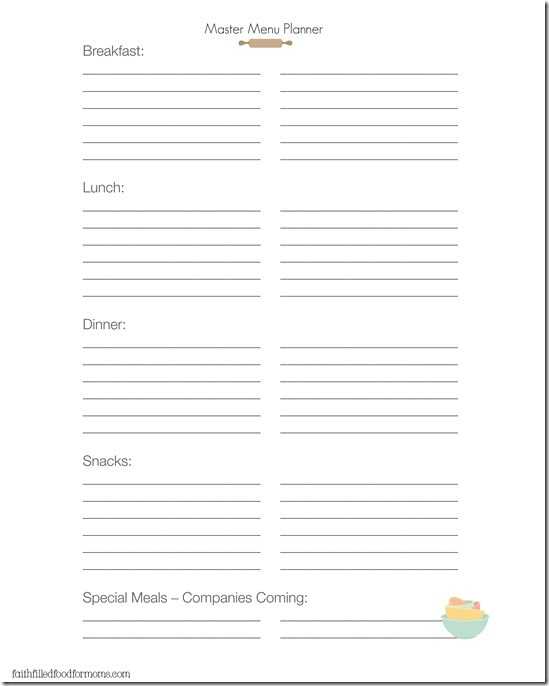 Now that you have decided to make your flexible meal plan, I have a Super Deluxe 6 page Grocery List Planner you can have for free. This is WONDERFUL! I needed some inspiration in this department…what a blessing! I love these tips! I have been meal planning for a while, but when something comes up where I don’t follow it exactly I feel like I get a big ZERO for the day! Thanks for the advice! This is delightful! I never stick to a meal plan. It’s too constricting. But sticking to one for a month sounds much easier! These are really great tips! We plan out our meals here as well but I have learned a few things here that’s for sure. Thank you for sharing the recipe on the SHINE Blog Hop! I do a weekly meal plan but definitely keep it flexible. We often diverge from the plan as long as we have grocery money for it or food in the freezer. This is very similar to what I do – I plan out enough meals (in quantity) to get us through at least a month before I go grocery shopping, making sure to purchase all the ingredients (minus a few “fresh” items) for a month’s worth of meals in one trip (multiple stores). Then I use my meal list as a template throughout the month to identify what I’ll make for dinner each night depending on our schedule and preferences. I tend to grab “fresh” items throughout the month (fruit, veggies, milk, etc.) as we need them. This is an important point that I think we often overlook. Flexible Meal Planning really makes life simpler in the cooking dept. Thanks for this one! I love having a meal plan when I actually do it. Even if I need to change it, I am still getting dinner planned at the beginning of the day rather than at the last minute. This is something I need to work on because of my crazy work schedule. Thanks for sharing these great ideas! Some great tips. I think so many get caught up in needing to be completely organised with meal planning but there needs to be flexibility or it just ends up feeling like too much hard work.